There’s a lavishly equipped library on the Eurodam, in the Explorations Café, which also contains the ship’s public-access internet terminals. Unlike the cyber cafes on many cruise ships, it is in a prime position, high up at the bow, and adjoining the Crow’s Nest bar, rather than being tucked away below decks. There are times, though, when it is more convenient to use my lap-top, and being the newest ship in the Holland America fleet, Eurodam has wi-fi throughout every cabin. There’s no signal at the writing desk by the window, and I can only get a half-decent signal if I sit at Mrs Greybeard’s dressing table – which is not always convenient. Even then, the signal is much improved if I wedge the cabin door ajar. I’ve never had to open the door to let the internet in before. How much does it cost to use the internet on the Eurodam? As on all ships, internet usage is expensive – and slow – compared with internet charges on land. This is because ships have to use a satellite link. I cannot remember the precise costs, but even with the various time packages available, it’s more than a dollar a minute. 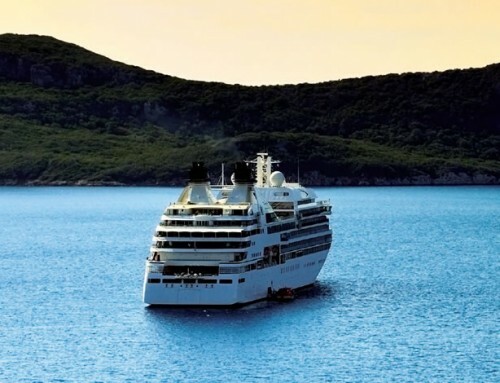 There’s a special offer give additional free minutes if you sign up on the first day and there are shorter time packages available on the last day of the cruise for passengers wanting to check in for their flights home and to print out boarding passes.